Comments Off on Thrift Store $3.00 bag sale! Comments Off on TWC Peacewalk & Potluck! Comments Off on October is Domestic Violence Awareness Month! Comments Off on Upcoming Training Opporutunity! The Alaska Immigration Justice Project Language Interpreter Center in partnership with the Association of Village Council Presidents, Tundra Women’s Coalition, University of Alaska Fairbanks-Kuskokwim Campus, and Alaska Court System is providing an interpreter training on the roles and skills of interpreting including working with domestic violence, sexual assault, dating violence and stalking victims. 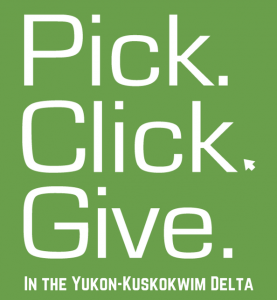 The training will be held in Bethel, Alaska on September 23-25th at the Kuskokwim Campus. There are limited scholarship funds available for travel from the villages. If you are interested in attending the conference, please call TWC with questions at 543-3444. This training was supported by Grant No. 2011-WR-AX-0041 awarded by the Office on Violence Against Women, U.S. Department of Justice. Special Thanks to Our Partners: the Association of Village Council Presidents, Tundra Women’s Coalition, the University of Alaska Fairbanks-Kuskokwim Campus, and the Alaska Court System. Comments Off on Thrift Store Sale! Buy one get one free! Comments Off on Children’s Advocacy Center! Children’s Advocacy Center (CAC) has a new web page! To learn more about the CAC, click here! TWC and TAAV hosted its second annual Teens Lead Ahead camp this summer from June 7th-10th. Nearly 50 teens gathered from Bethel and the returning villages of Kwethluk, Kipnuk, and Napaskiak along with teens from Kotlik for 4 days and 3 nights of leadership and prevention activities. The theme of this year’s camp was focused around respect- “Respect for ourselves, others, elder’s, and the environment.” The teens spent one night at the Catholic Church, one night at the ONC fish camp, and one night at TWC. Highlights of the camp included presentations and stories by storyteller Gene Tagaban, an elder discussion, subsistence activities at fish camp, a scavenger hunt, and several performances from the Yup’ik musical group Pamyua! On the last night Vicky Nechodomu of LKSD guided the youth in creating their own digital stories based on their own experience of the camp (check out their final products!). Teens Lead Ahead was a tremendous success this year and couldn’t have been possible without the help and generosity of our partners- ONC, AVCP, YKHC, ANDVSA, LKSD, the Catholic Church, Public Health Nursing and of course all of the chaperones, volunteers, and TWC staff who donated their time and energy into making Teens Lead Ahead such a success!